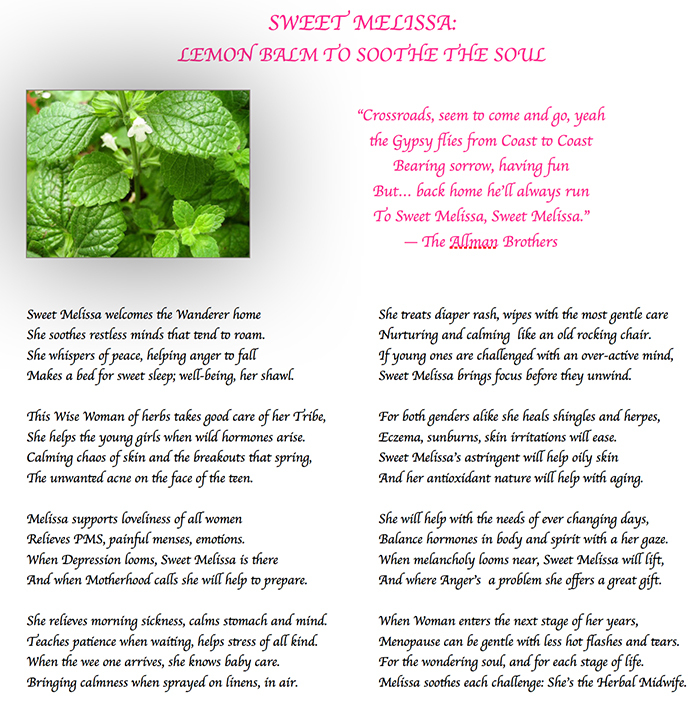 Lemon Balm Hydrosol will soothe both body and spirit. Gentle enough for babies, safe for use in pregnancy. Melissa is known for its ability to calm the body and mind without being sedating. A spritz on the face or body will help treat stress, anxiety, and agitation. Melissa helps children with ADHD: Add a tsp. To a glass of water daily. It also calms the spasm of a cough (for both humans and their canine friends).